Shively Bros. understands the need to keep our customers competitive and profitable in the market place. 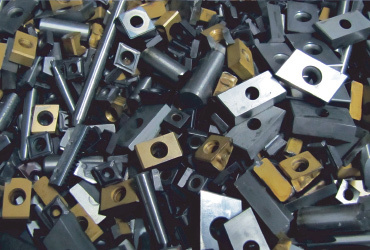 A key component in efficiency and cost control is scrap management. Utilizing Shively's scrap managment process, we are able to closely monitor unscheduled tool changes, while maintaining a lean working float balance on hand. Shively takes pride in reworking scrap tools into other designs while providing recycling services for unusable tools.